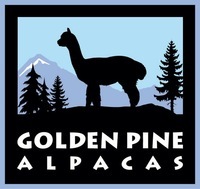 Golden Pine Alpacas is a farm located in Goldendale, Washington owned by Pat and Barb Patterson. Closing the Farm Sale - Great Prices! 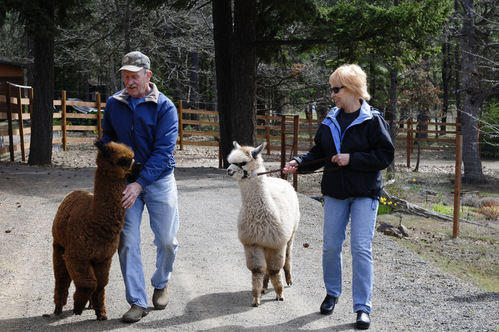 Read our recent article "Raising Alpacas for Fun and Profit." Check out our latest blog about our experiment with paving stones to trim alpacas toenails. Other blogs feature stories about everyday life on our alpaca farm. See the beautiful new woven alpaca rugs from our alpacas' fiber. Just added to our store! Earth tones. Free shipping. 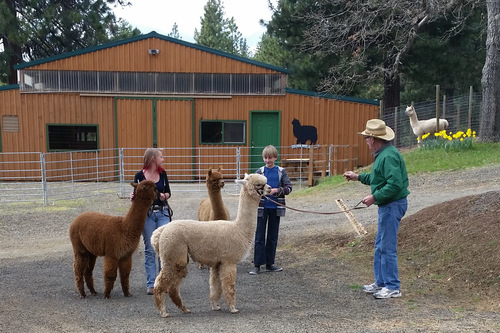 We’re a small farm with 13 Huacaya alpacas located in the beautiful oak and pine foothills 5 miles north of Goldendale. It’s been great fun over the past 11 years – learning the business, working with the fabulous fiber, going to shows, breeding and raising fantastic alpacas, and meeting not only the wonderful people in the alpaca business but all the folks who have attended our open farm events over the years. Now other ventures are on the horizon and we must sell all of our remaining stock. Check out amazing low prices for our high-quality herdsires, girls, and geldings. We’re happy to arrange package deals and throw in an additional 10 percent off. 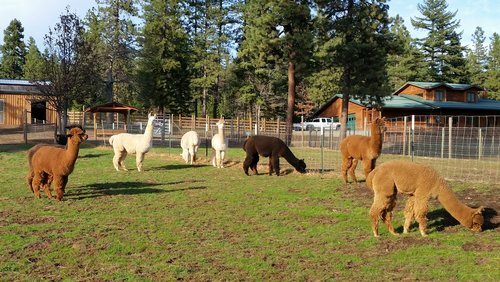 If you plan to start a new farm or wish to add one or two good alpacas to your existing farm, just give us a call at 509-773-6184 and we will come up with a deal that works for you! 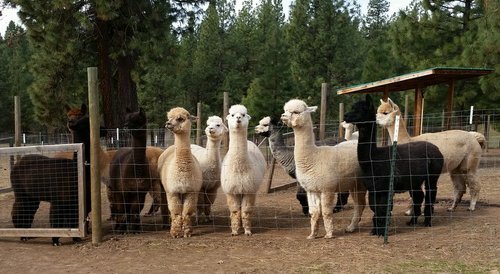 Check out our ALPACA SALES page to find fine quality alpacas at competitive prices to start or add to your existing herd.